Whether you're new here or a seasoned newLifer -there's always another step. At newLife we believe that everyone can become a better person. We come together from all walks of life, broken & blessed, poor & privileged – and we are welcomed as we are. Yet we know God calls us to be transformed and to help transform others and our community. We believe that true transformation is only ever gained through the love & power of Jesus Christ. In a newLife team? Want to be? Come along. 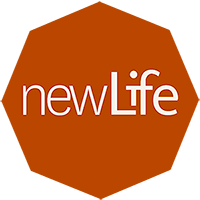 newLife is all over social media. Read us, see us, write to us. Follow, subscribe and like. Keep up to date. The Bible tells us that Jesus went around doing good and telling of the good news of the Kingdom of God. Our intention at newLife is to get better at the very same thing.